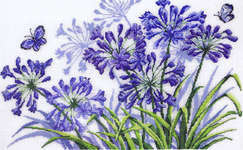 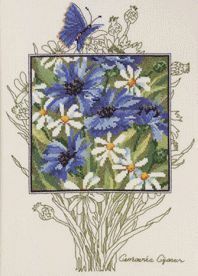 A lovely picture of these cottage garden flowers with a central panel in full colour and the border in outline with a bright blue butterfly. 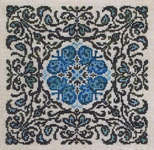 The kit has a large scale black and white chart printed 10 stitches to one inch on two A3 sheets with key. 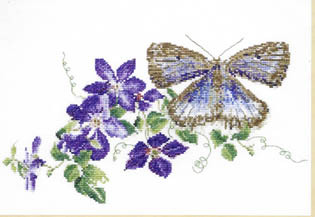 The pattern is worked in cross stitch and backstitch using 21 shades of stranded cottons over 132 by 187.